It's also more than just a buzzword. Shannon Bowen’s recent op-ed in PRWeek about the death of "engagement" brought to mind the words of the great philosopher Inigo Montoya: "You keep using that word. I do not think it means what you think it means." Full disclosure: I lead an agency called Olson Engage (formerly Olson PR), so it was with great interest, and a hint of discomfort, that I sat down to read a piece in a respected trade publication declaring our core concept as a passing fad. After reading it, however, I found myself reminded of my usual disdain for buzzwords – and more convinced than ever of the critical role of engagement in the marketing mix. Bowen argued, correctly, that "engagement can’t be undertaken simply for the sake of itself." This is a strong takedown of an argument no one is making. The point of advertising isn’t "advertising." The point of PR isn’t "PR." And the point of engagement is not "engagement." Marketers seeking engagement aren’t being asked by their shareholders and CEOs for Facebook likes. They’re trying to grab attention in a fragmented media landscape where people are actively tuning out and avoiding marketing messages that don’t offer value in return. What these marketers do with that "engaged" attention, of course, depends on their business objectives. Building brands, increasing awareness, driving consideration, and promoting purchase are all possible when you have someone’s attention. Take one of our clients, Oscar Mayer. Its objective was to increase sales by standing out in the largely commoditized bacon category. It looked online and saw tens of thousands of unbranded online conversations about bacon. To break into that conversation, it created a device that turned iPhones into bacon-scented alarm clocks. By any measure, this was a wildly successful engagement play: in addition to massive media coverage and online discussion, more than 300,000 people entered for a chance to win a device and 67,000 people even downloaded a branded app onto their phones. And that engagement translated to a double-digit increase in sales during the campaign period. The strategy was to make its brand stand out in a commoditized category; engagement made it happen in a deeper way. Bowen’s second argument is that engagement is expensive, because once an organization starts down the engagement path, it apparently has no choice but to continue. Because of this, it can become "a resource-intensive process that may or may not pay off over time, and can even become onerous." You know what else can be costly and offers no guarantee of a return? Marketing. We’d argue that the entire suite of marketing services benefits from engagement as a core filter. This tends to be especially critical in the case of traditional digital and advertising efforts. Look at recent Super Bowl spots: few have resonated better than Esurance’s 2014 ad, which advanced the brand’s money-saving premise through an ad that offered consumers a chance to win the cash it "saved" by running its Super Bowl ad right after the game ended. Millions of people participated online, a massive coup for a young company that lacks the name recognition of established competitors such as Geico, State Farm, and even its parent, Allstate. Would the ad have succeeded as wildly without offering consumers a chance to engage online? Not a chance. Bowen wraps up by arguing that we’d be better off focusing on reputation than engagement, noting that "relationships based on credibility result in trust." But what she doesn’t explain is why we have to choose between trust and engagement. I’d argue the opposite is actually true, and that engagement is becoming a critical trust-building tool. Look at how Chipotle has undertaken its Food with Integrity push. Engaging content was used to reinforce the company’s oft-repeated efforts to distance itself from industrial farming, pesticides, and growth hormones that some consumers likely associate with quick-service restaurants. These efforts, which included the striking animated film, The Scarecrow, didn’t detract from the more traditional tactics Chipotle used to communicate about its ingredients, but it did make them more effective. Sure, engagement is a buzzword. But it is also a tactic, a filter, and, at the same time, a path to a range of desirable business outcome. While its days as a trendy buzzword may be numbered, it is only growing as a requirement for relevance and effectiveness. 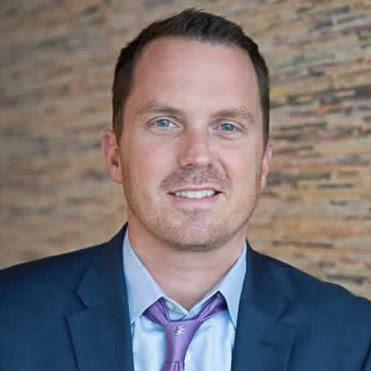 Bryan Specht is president of Olson Engage.